Any form of a scar is the human body’s version of a hasty cover-up. It is defined as an as a residual mark from the healing of a wound (1). The skin’s outermost layer is known as the epidermis while the layer underneath it is the dermis. Whenever a wound is inflicted, damaging the dermis, it immediately gets to work on creating a cover over the wound to protect it from bacteria and germs. This cover is in the form of a structural protein called collagen that is produced by fibroblasts sent from the dermis (2). The collagen can be called the skin’s best friend, the big protector in their playground who protects the vulnerable skin from the bullies, so to speak. What are the various reasons for Pockmarks? Pockmarks in specific are known to be deep scars that appear on the skin, usually after the healing of severe skin infections, chickenpox and even severe acne (3). Pockmarks are often just referred to as acne scars since these are the most common causes. They appear as blemishes and form dents and concave shapes on the skin. They are a result of intense damage done to deeper layers of skin during such infections. As mentioned earlier, once such damage occurs, in a haste to fix up the damage our system hastily creates collagen to heal the scars. In this haste, the material is not allowed to form neat lattice structures, which then leave behind noticeable scars and irregularities in skin structure. Are Pock Marks caused by Smallpox? The biggest issue with pockmarks is the damage they do to someone’s self-confidence when they have to deal with very evident scarring on their face. Under the pressure of having to maintain neat and clean appearances, people tend to find acne scars like pockmarks especially frustrating. So when skin conditions like smallpox or chickenpox cause such severe damage to the skin, it leaves patients feeling helpless and find their appearance marred by the scars (4). Although pockmarks are often the end result of infectious diseases like smallpox, it helps that the skin condition is nowhere as rampant as it used to be. However, chickenpox still remains a great threat to the skin’s wellbeing. This disease causes the formation of small blisters that are notoriously known for being incessantly itchy. Scars and pockmarks form only when people give in to the urge to itch and scratch at these blisters. How can Pockmarks be removed? It depends on the degree of renewal the patient expects of the skin. Normally, the natural solutions to removing include home related remedies like facial massages which stimulate skin cells to regenerate and produce collagen. It also can be supplemented with moisturizing oils and creams that help build the health of the skin, in order to make it easier for it to regenerate (5). Is there any natural way of curing Pock Marks? If the pockmarks are more shallow and visible because of pigmentation, it is possible to use natural ingredients with bleaching properties to remove the scars. Main examples that suit these needs are lemon and honey. They are preferred more than other proclaimed home remedies since they tend to have the least side effects on the skin and are naturally nourishing. A lesser-known solution is the use of cocoa butter. Regular application of cocoa butter on pockmarks can help in smoothening the skin out and reducing the prominence of pockmarks. And regular touch and movement of the skin can stimulate collagen production too. Do Pock Marks require cosmetic surgery? Nevertheless, the options of natural remedies deem insufficient if the damage of pockmarks is deep into the layers of skin. In these cases, cosmetic therapies and surgeries are the only solutions that prove successful. This is only under the guidance of dermatologists and qualified professionals. Chemical peeling: this term has gone from sounding foreign and scary to becoming a very common treatment and household name opted for by anyone looking to even out and rejuvenate their skin tone. It comes in levels of light, medium and deep (6), all of which refer to the intensity of the chemicals used and the depth of action on the skin. Laser resurfacing: is similar to chemical peeling in the sense that it gets rid of old damaged skin to reveal younger and brighter skin underneath, but this procedure uses a laser instead of chemicals. It comes in two forms which are either ablative (wounding) or non-ablative (non-wounding). Dermabrasion: is a mild form of sanding the outermost layer of the skin using rotating devices, but this is more for reducing aging effects rather than improving uneven skin tone. It removes both parts of the epidermis as well as the dermis. Normally, it needs general anesthesia and the expertise of a dermatologist or a physician and is an intensive procedure that includes using a sanding machine on the affected region (8). But it depends on your skin condition and type, to determine if the procedure is right for you. Microdermabrasion: is similar to dermabrasion but is on a smaller scale and used to treat less severe forms of pockmarks. While this uses abrasive materials like dermabrasion to remove the skin cells, it only removes the layers of epidermis on the skin and does not go deeper (9). So if you have very severe pockmarks, there is not much that this procedure can do to renew your skin’s healthy look. These are the most assured ways to treat pockmarks on the skin and to achieve healthy looking skin despite having suffered from such skin conditions. Struggling with a Skin or Hair issue? Download the CureSkin App now by clicking here to get the best treatment. It’s easy, fast and affordable! 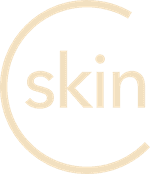 CureSkin is a revolutionary Dermatology App that detects, analyses and treats all Skin and Hair conditions. Get the app today and see the results for yourself! Copyright © 2018 Heallo All rights Reserved.